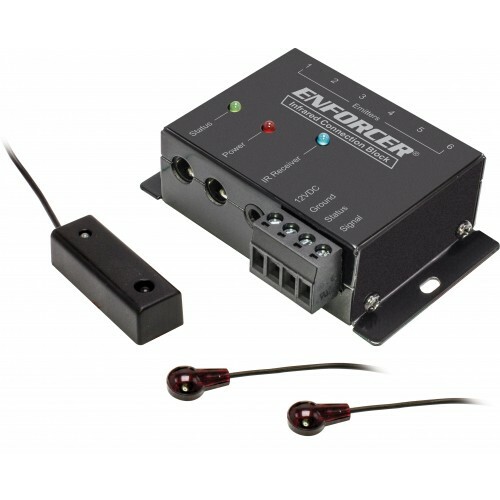 The ENFORCER IR Distribution Kit extends the IR signal from your remote control to remotely operate audio/visual equipment kept in a separate location or in a closed cabinet. 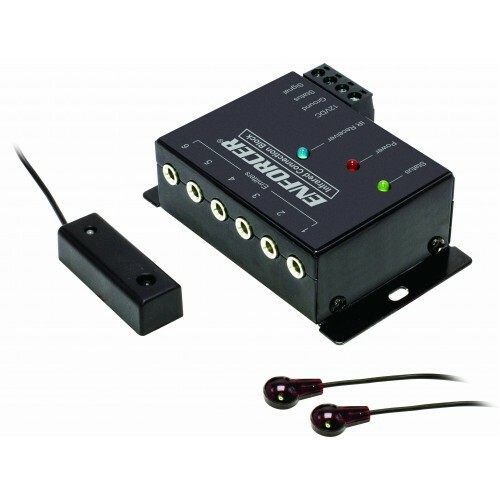 The ENFORCER IR Distribution Kit allows for the transmission of IR signals from one IR receiver to up to twelve IR emitters. The wide band IR receiver is capable of receiving IR signals from many types of remotes.